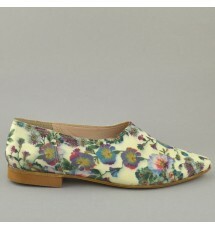 Slipon with 3D floral print. The inside is leather. Made in Greece. 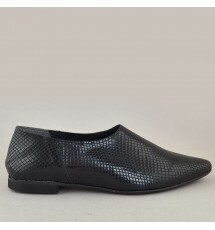 Heel : Rubber 1.5 cm ..
Mocassin of synthetic leather, made in Greece, all leather inside. Heel : rubber 1.5 cm .. 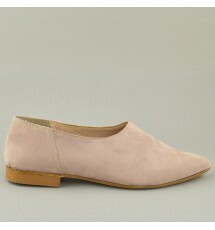 Synthetic suede slipon. The inside is leather. Made in Greece. 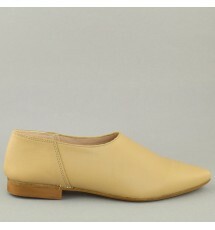 Heel : Rubber 1.5 cm ..
Leather slipon inside-out. Made in Greece. 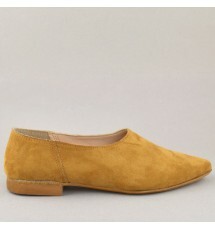 Heel : rubber 1.5 cm ..
Mocassin of synthetic suede, made in Greece, all leather inside. 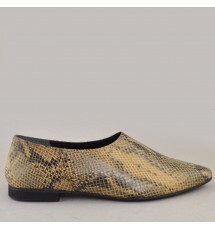 Heel : Rubber 1.5 cm ..
Mocassin of synthetic leather with snake print, made in Greece, all leather inside. 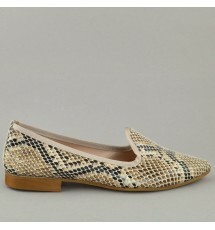 Heel : rub..
Patent snake slipon. The inside is leather. Made in Greece. 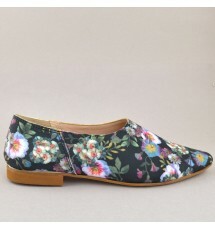 The heel is rubber 1.5 cm ..
Mocassin of synthetic suede, made in Greece, all leather inside. The heel is rubber 1.5 cm ..